As news reports of online security breaches occur with increasing frequency, people are becoming more concerned about the safety of conducting financial transactions over the internet. 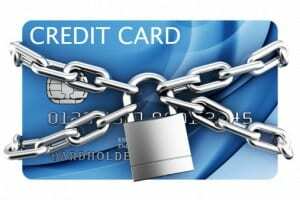 While there are security risks to using a credit card online that are beyond our control, one practical step you can take to avoid having your credit card compromised is by using a virtual credit card. A virtual credit card is a unique temporary credit card number that is generated and linked to your real credit card. The temporary credit card is only available for a single transaction, after which it becomes unusable. If your credit card number happens to get stolen somehow in a security breach, you are safe because the stolen card is no longer usable, and the thief does not have your actual real card number. You can also place a dollar limit on the card, which prevents an online vendor from placing a greater charge than you expect. Virtual card numbers are becoming a very common feature offered by credit card companies to reduce the risk of unauthorized transactions. The service is usually accessed by the user on the credit card issuer’s account management website. If you are unsure whether or not your credit card issuer offers this beneficial service or how to access it, please contact their customer service department directly for more information.